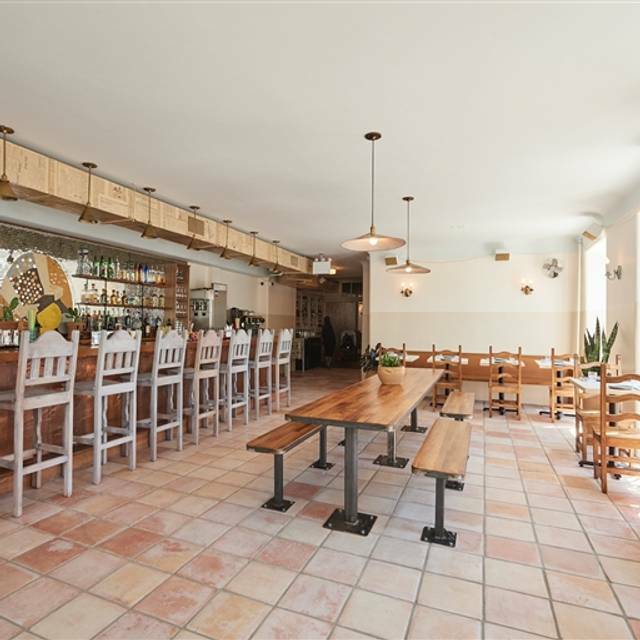 June 2, 2017, marks the opening of Casa Pública, a Mexican restaurant and bar in the North Williamsburg neighborhood of Brooklyn. At the helm of the project are partners chef Bob Truitt, beverage director Gustavo Ortega-Oyarzun, and managing partner Daniel Ortiz de Montellano. 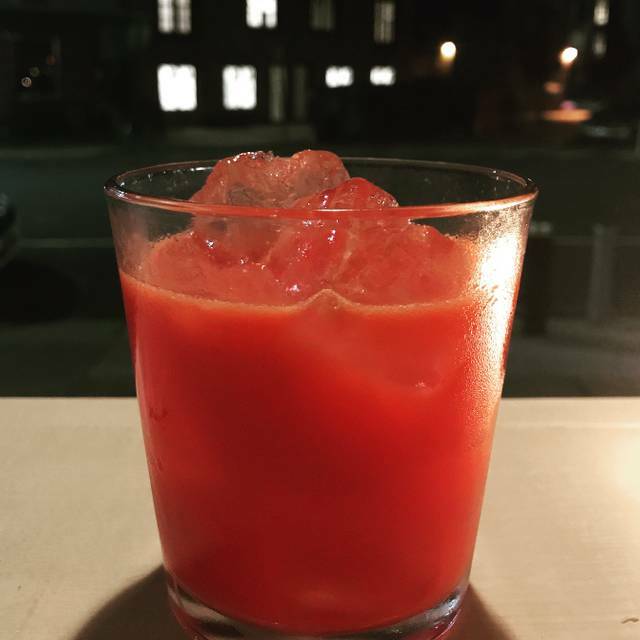 Located at 594 Union Avenue, just a block from McCarren Park, Casa Pública blends traditional Mexican home cooking with dishes found in the country’s mercados and offers a playful cocktail and michelada program. The restaurant/bar is a true passion project for the partners who have personal ties to Mexico’s rich culture and the Williamsburg area. Avocado, onion, cilantro, and serrano. Baked meatballs, salsa ranchera, queso fresco, pico miltomate, and corn tortillas. Contains pork, glutten, and dairy. Wild mushrooms, requeson, epazote, salsa verde, and huitlacoche crema. Contains pork lard. Marinated skirt steak, rajas, black beans, grilled red onion, avocado, and salsa de arbol. Served with heirloom corn tortillas. Pork confit, guacamole, escabeche, chicharron, and salsa verde. Served with heirloom corn tortillas. Black beans, onion, and queso fresco. Sautéed corn, crema, cotija, and chile piquin. Flan, ancestral Mexican chocolate, and almond crunch. Contains dairy. Vanilla cake, three milk soak, toasted coconut, and passion fruit caramel. Contains dairy and coconut. Excellent food, service, everything! I’m Mexican so getting to show my date some of our traditional dishes but at an elevated level was great! Food was decent, server was attentive, drinks were delicious. Only complaint is that the hostess gave my reservation to another group without checking me in. We had to wait for another 30 minutes. I'd sit at the bar next time. I spent Valentine's Day at Casa Publica with my husband and we really enjoyed their special menu created for the occasion. The ambience was romantic with roses on each of the tables and our dinner started with complimentary champagne! A really nice touch. The music and lighting was great too. We liked the space because it didn't feel cramped the way many restaurants in BK and Manhattan do. The food was amazing. We especially loved the Queso Fundido. Highly recommend! Best Mexican food in North Brooklyn! Everything's great, especially the queso fundido, esquites, albondigas, and chicken mole taquiza (big portion!). The ponche is delicious, and they spike it with a really incredible mezcal. 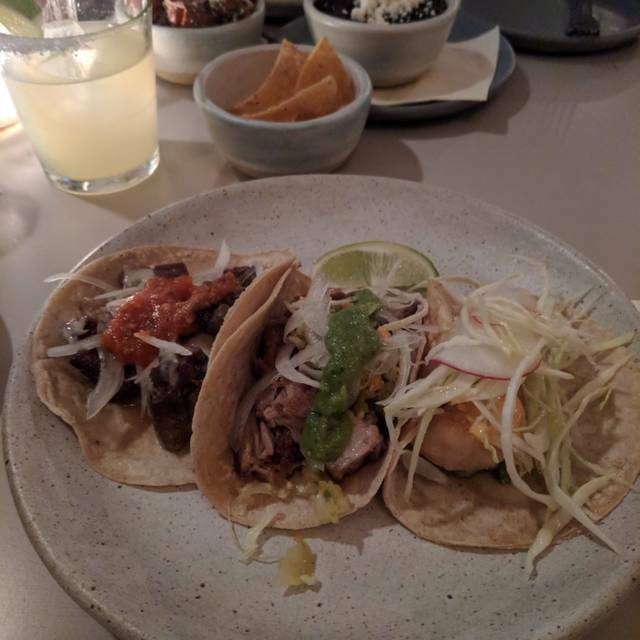 My girlfriend is from Mexico City and is understandable picky about Mexican restaurants— this is one of her favorites in NY. We come every few weeks. My wife and I loved everything about this restaurant! Their service was some of the worst I’ve ever received at any restaurant. The waiter didn’t care to come and check on my table at all. I would pass on this place. I shouldn't share this, as I would like to return [often] without fear of being tackled for a table. We all know that Saturday morning feeling, the feeling of waking on a crisp sunny morning combined with the sharp pain resulting from blind ambition the prior evening? We've all had it, so hold your judgement; I share with you the cure; my hero of the day--this restaurant. Their food & hospitality was a welcoming warm hug on a day where I was weak and addled. The guacamole made me feel again, spiced with plenty of sliced serranos. The carnitas, with the huevos rancheros, was like crisp, yet tender pillows of buttery pork. Summed up, the food was simple and perfectly executed. Casa Publica's staff, chef, bartender, were all top notch. I went with a group of close friends and I can say Casa Publica aided in the conversation and vibe. I will return every time I'm in NY. The service was inattentive and slow without apology. We had to seek out servers to ask for what we needed rather than them coming and ever asking. We got our drinks after we had finished appetizers. We got our last side after we had finished dinner. We had to ask for water several times. Food was ok but nothing special for price. Drinks were good. We were charged full price for all and the poor service was not acknowledged in any way. Ambience was nice but that didn’t make up for the poor service and mediocre food. We got there at 11pm on a Saturday night, just as they were switching to their late-night menu. So many great options and at happy hour prices. Everything was beyond delicious. We had the guacamole (a tad spicy), queso fundido, shrimp tacos, corn, and brussel sprouts. I would order all of them again, but the brussels & tacos were my favorite. The normal menu looked great too - lots of options. And the environment was really fun! Vibrant music and people (both staff and clients). All around a great place! Was very good. The portions are pretty small. Would recommend! A friend and I tried Casa Publica for NYE 2018. Overall, the experience was pretty awful — the food was mediocre (and expensive!) and the service was terrible. The cocktails were less than average and it took about 30 minutes for the first round to come. Because there was a ‘mishap with the system’ (aka they forgot to add our drinks) we were gifted a round of frozen margaritas — these were so bad we didn’t even finish and continued waiting on our actual cocktails. There’s a lot of up and coming restaurants in the neighborhood, do yourself a favor and try one of them instead. I went to Casa Publica with a couple of my friends during happy hour. They had really great prices for drinks and tacos/snacks during happy hour. The tortilla soup was amazing. Also, I have celiac disease and found there was plenty to eat since they do mostly everything with corn flour. Took 25 minutes past the open table reservation to get a table. 8:30 PM reservation, was not seated until 8:45 PM. Also the restaurant was out of two different types of tacos and did not have Diet Coke. Super cute roommate dinner that with two rounds of drinks and a full spread was less than $200. Always a delicious place where I am never disappointed. My favorite go-to Mexican spot in Williamsburg. The food and drinks are delicious. The classic margarita is one of my favorites along with the chips and guac, ceviche, and fish tacos. The staff is always so friendly and attentive - I always recommend this restaurant to friends! Great place for dinner with wonderful ambience. We started off with guac and chips - nothing too special, can't really go wrong with guac and chips, but we got a second bowl of chips when they saw we had leftover guac! That was really nice! We had flank steak tacos which were really good, I liked that over the chipotle chicken tacos probably because the flank steak was juicier and more flavorful. We also had the skirt steak bedded with black beans, potatoes and peppers. We asked for medium rare and we got medium rare. It was cooked to perfection and really delicious. Juicy and tender. I was pretty surprised because I wasn't expecting it to be as yum as it was. For cocktail, I had From Mexico With Love. I must admit, it's a lot smaller than I imagined for $13. Probably a teacup size. BUT it was really good. Citrus and pretty strong. Overall, I would come back and bring more friends too! Their service is great, the bathrooms are clean, the menu has enough to please everyone and the cocktails are interesting. I made a reservation which deemed useless, still ended up waiting 30 minutes for a table. Service lacked- a lot. Cocktails and queso fundido appetizer was great (though we nixed several unnecessary toppings) entrees were ok. Ambience was good, would go back for drinks. We've been to Casa Publica 3 times now and each visit it wonderful. GREAT drink menu and really delicious food. It' a really lively place and the restaurant itself is lovely. When the weather is warm they open the front windows to let the breeze in and it's cozy and warm in the winter. Highly recommended! We were given really good seat in the back with couches. Kudos to the hostess for that. Our waiter was great however, the service is slow, especially the bar. The drinks are good and it takes a while for them to bring it to you. My previous experience last time was horrible due to the service. This time the service was better and the food was on point as usual. I wish they had more options as far as sharing plates or tacos. Great for groups and parties. I️ didn’t love what I️ ordered. There were other patrons who were loud and inconsiderate. . Loved the place, ambiance & food. Service was excellent!!! Wiill go back again!!! for our older mothers due to poor and delayed service. Food was great though. I've had better experiences here. The stuffed chile was too dense with no discernable taste beyond the black bean filling. The platano masa seemed repetitive and got lost in the black beans. The cheese was overwhelmed. The taco offerings were forgtettable. The paper menu was removed to be reused leaving a bare dining table. I don't really understand the hype about this restaurant. The food was good but not great and the restaurant didn't have the ability to make any modifications to any of the dishes. Service was subpar at best. Our waiter never came around until after our meal was over and I had to flag down another waiter to order another drink. I wouldn't recommend going out of the way to go here. I consider myself a traveling fish taco testing fool, and the fish tacos at Casa Publica are the real deal. We were visiting NY and chose this restaurant based on others' reviews. It was wonderful! We got there early and sat outside with drinks, then went indoors for dinner. A lovely evening. Enjoyed this place thoroughly! Great food and drinks in a beautiful space. And such friendly service. I can see why this place is such a neighborhood hit! The only con was our reservation was for 9:15pm and we didn't get seated until 9:45pm. Had to have a few margaritas at the bar with friends to pass the time...not end of world but we were hungry. Finally had a chance to try this place out. The food and drinks were quite good (I love vaguely fancy Mexican). Guac came right away though the other food was puzzlingly slow. Our waitress was super nice about this and comped us a couple drinks. The Spicy Mamacita margaritas were great--spicy but not overpowering and not too sweet (as frozen margs can be). Wish I'd gotten a larger one not because the 12 oz was too small but one of the larger sizes comes in these glasses that look like a pineapple (cute). Would definitely go back. The tacos and ceviche were GREAT even with the wait. The moles here are superb, and their freshly made tortillas are fantastic. The house margarita is top-notch! Very expensive for not a lot of wow. Tacos were mediocre. Not enough chips served with guac. Black beans were unseasoned and $6! Absolutely AMAZING yellowfin ceviche!!! Cocktails were delicious. Tacos were divine. So happy it's in the neighborhood! Definitely on the top of my list for best Mexican food in New York. Authentic and exquisite at the same time. Unique combinations, delicious cocktails, and the dessert was outstanding! Fun vibe and we loved the fish tacos!